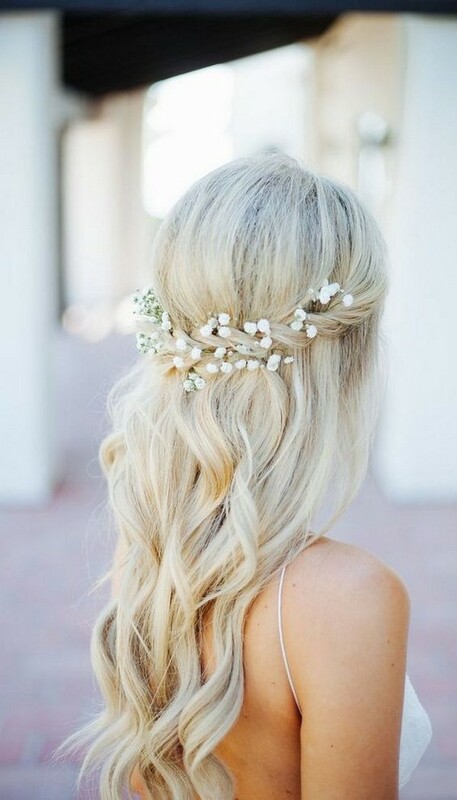 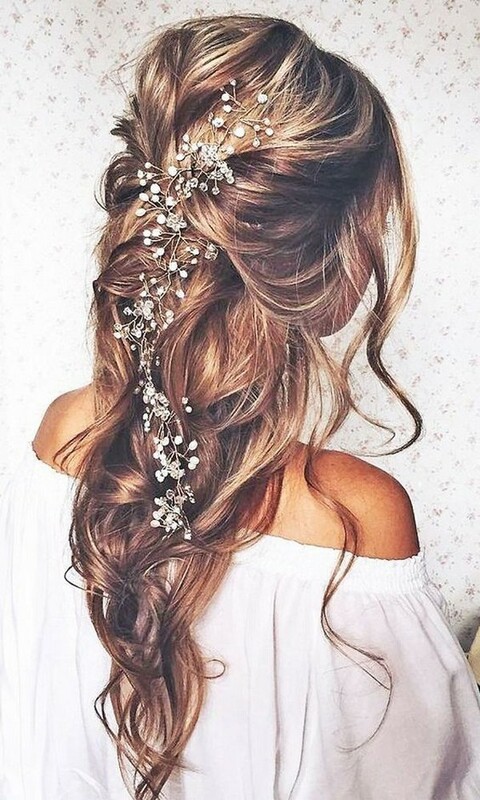 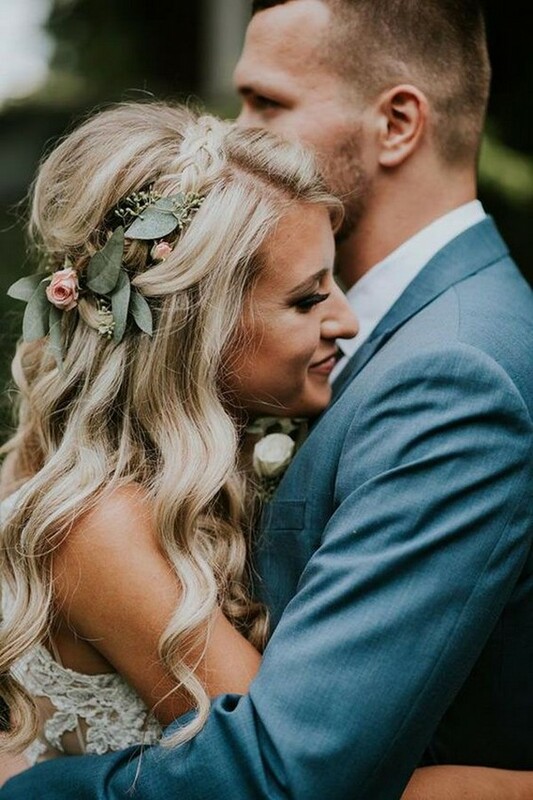 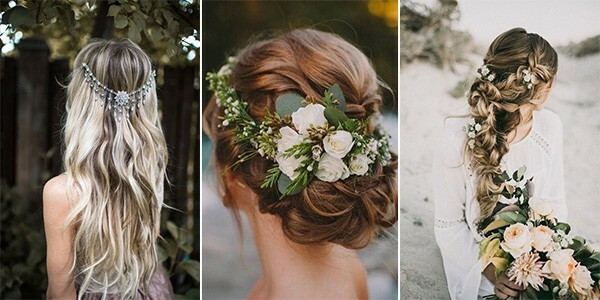 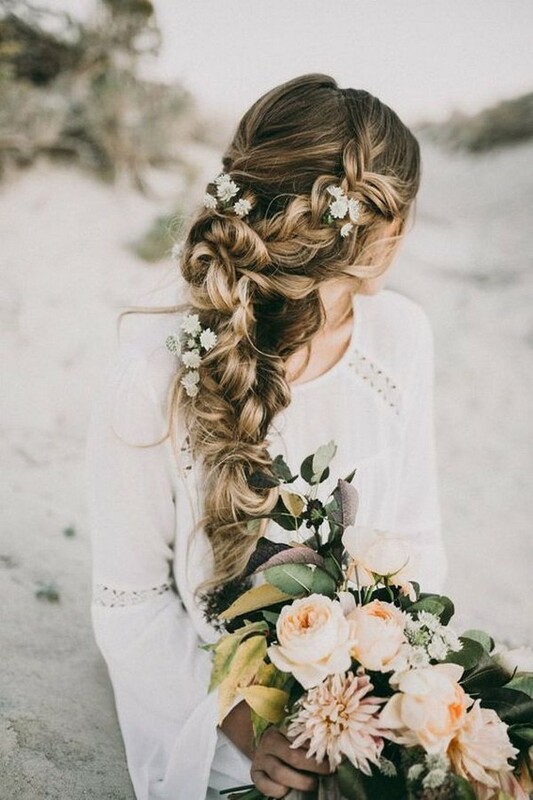 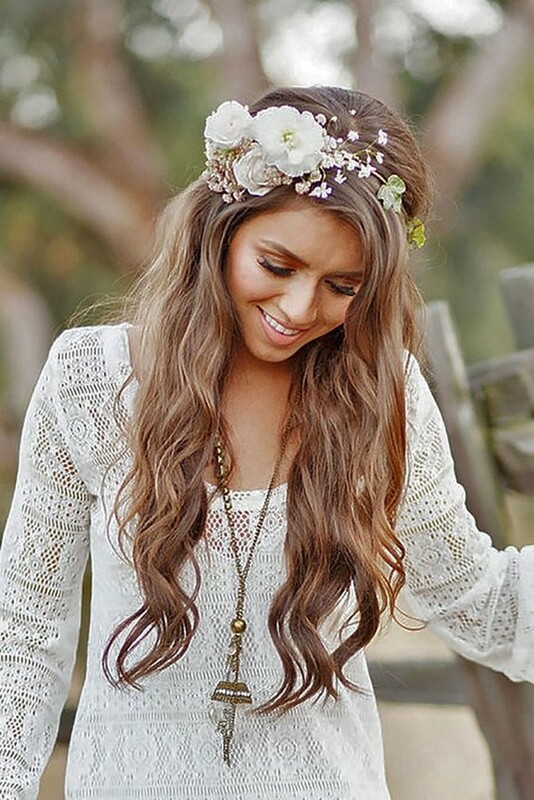 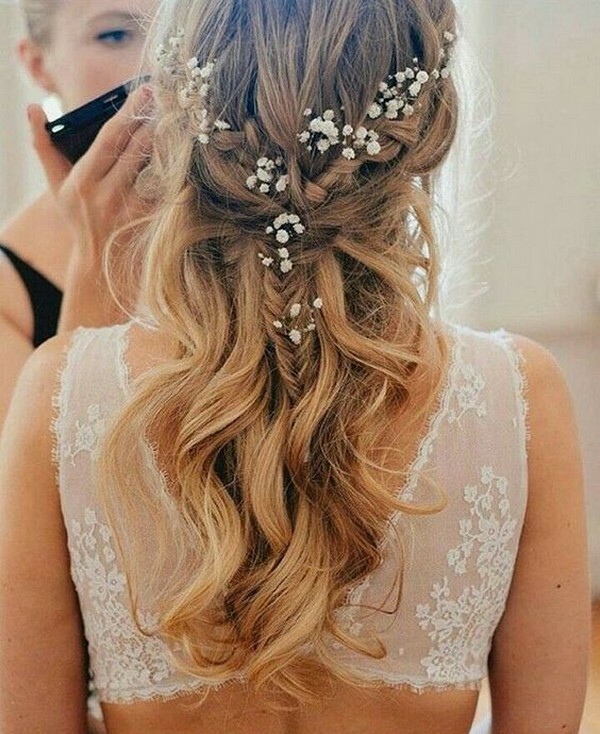 Boho wedding hairstyle can always be completed with seasonal flowers. 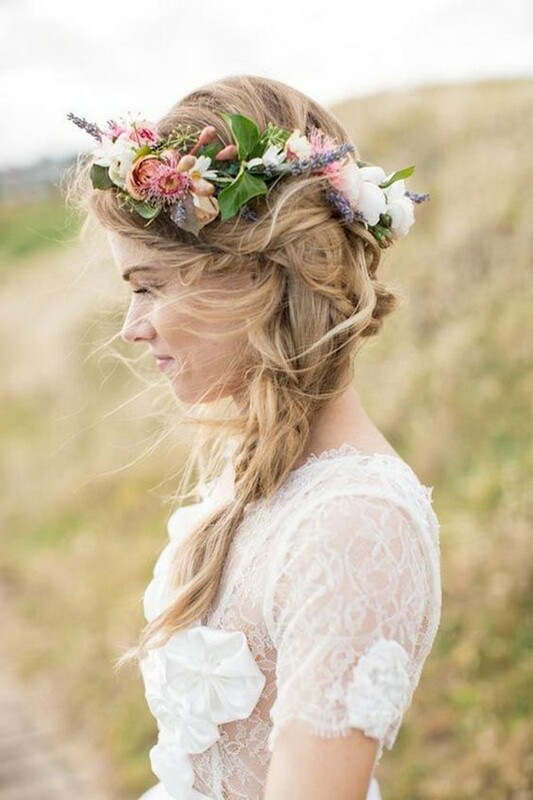 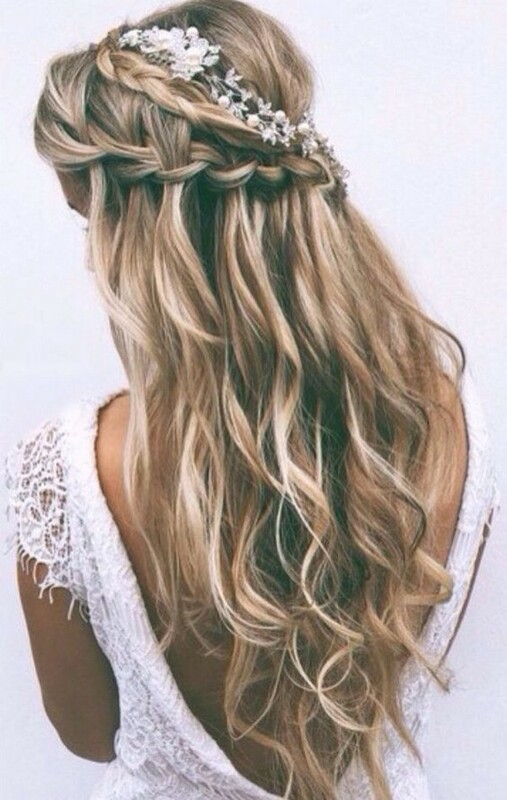 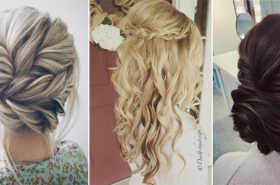 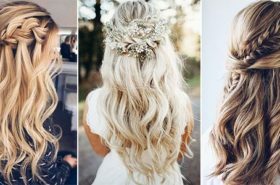 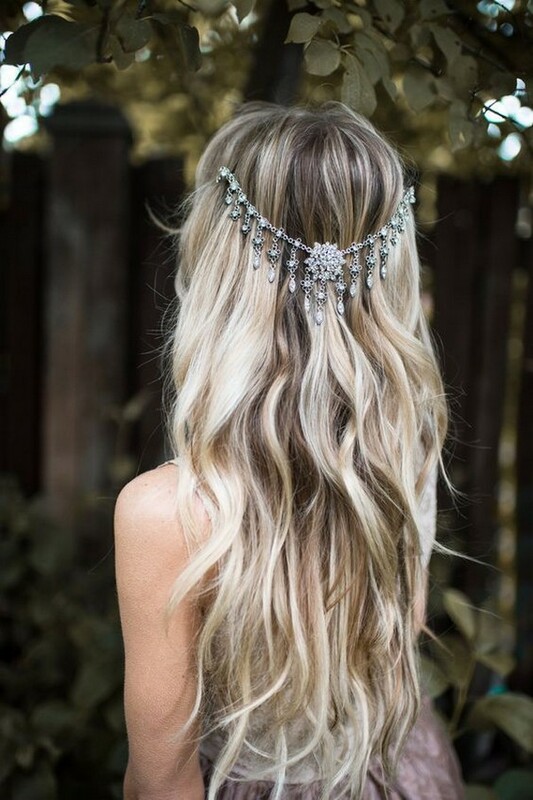 If you are going for a boho hairstyle this is what most brides have in mind. 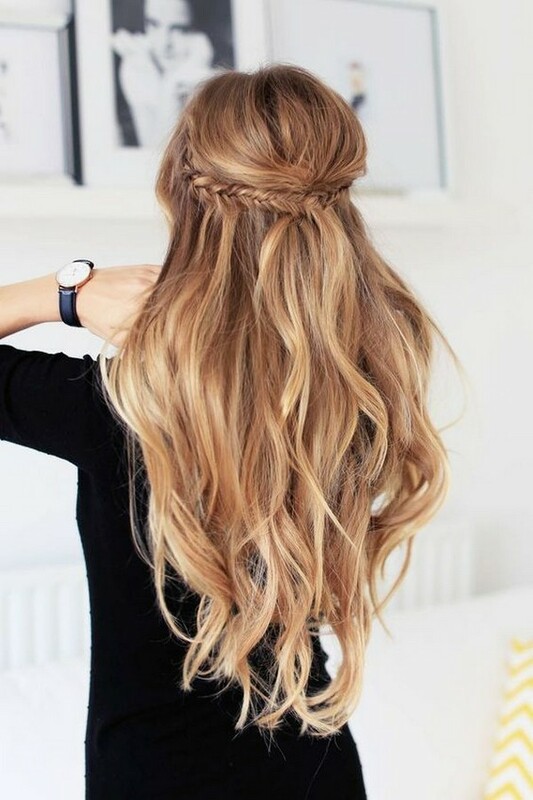 Wearing your hair with loose curls is perfect if you are going for a more covered or long-sleeved dress. 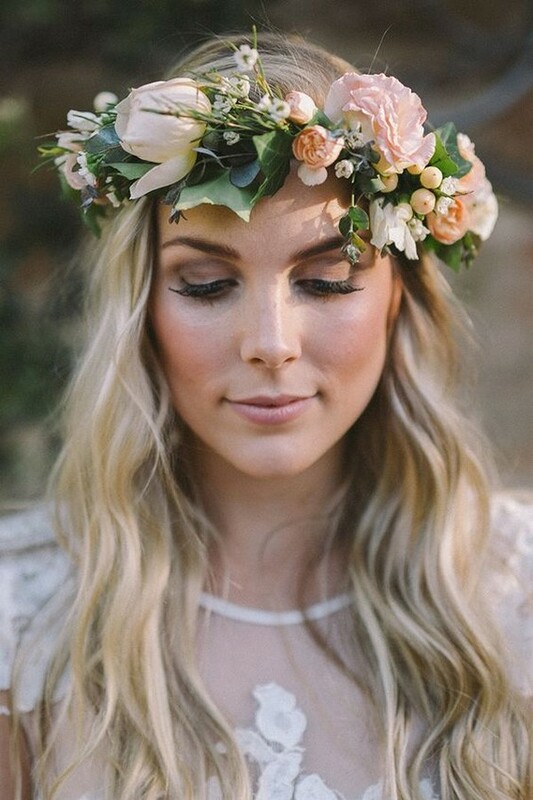 Make sure your flower crown is made fresh maximum one day before your wedding. 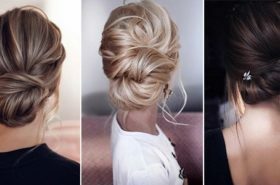 Part your hair in the middle and use a lot of hairspray to guarantee your style will last the entire day.